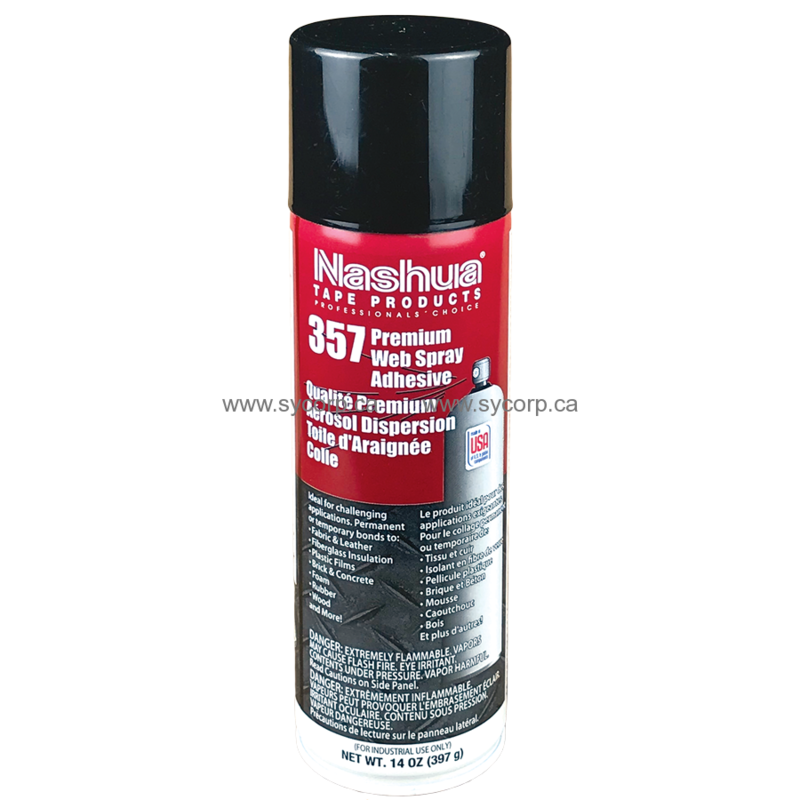 Berry Plastics/Nashua 357SA Low VOC Premium Spray Adhesive is an aggressive spray adhesive designed for temporary and permanent bonding. It offers high shear, contains no methylene chloride and is especially designed to bond polyethylene to itself, concrete block, wood and other hard to bond places. Operating Temperature: -23°C to 82°C (-10°F to 180°F). Shake well before applying. Spray an even coat from a distance of 6-8 inches. For permanent bonds, spray both surfaces. Allow 1-2 minutes for tack to develop. Apply firm pressure. For temporary bonds, apply a light, even coat to one surface; allow tack to develop. Apply firm pressure. When finished spraying, turn can upside down and spray for 2 seconds to prevent nozzle from clogging.